Drawing on extensive interviews with George Kennan and exclusive access to his archives, an eminent scholar of the Cold War delivers a revelatory biography of its troubled mastermind. In the late 1940s, George Kennan wrote two documents, the "Long Telegram" and the "X Article," which set forward the strategy of containment that would define U.S. policy toward the Soviet Union for the next four decades. This achievement alone would qualify him as the most influential American diplomat of the Cold War era. But he was also an architect of the Marshall Plan, a prizewinning historian, and would become one of the most outspoken critics of American diplomacy, politics, and culture during the last half of the twentieth century. 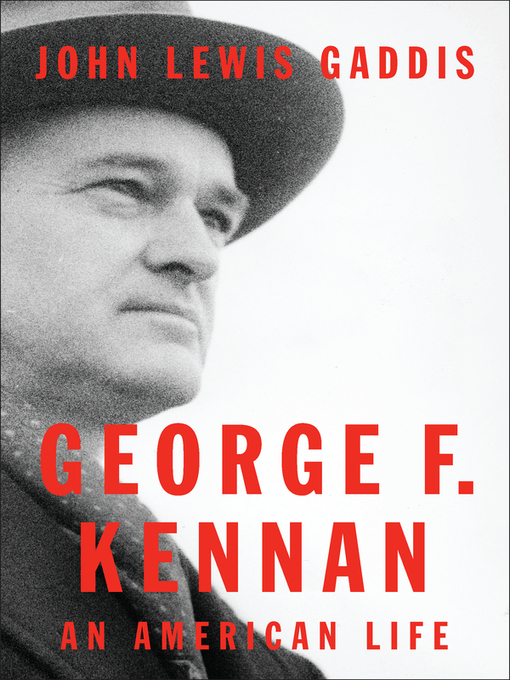 Now the full scope of Kennan's long life and vast influence is revealed by one of today's most important Cold War scholars. Yale historian John Lewis Gaddis began this magisterial history almost thirty years ago, interviewing Kennan frequently and gaining complete access to his voluminous diaries and other personal papers. So frank and detailed were these materials that Kennan and Gaddis agreed that the book would not appear until after Kennan's death. It was well worth the wait: the journals give this book a breathtaking candor and intimacy that match its century-long sweep. We see Kennan's insecurity as a Midwesterner among elites at Princeton, his budding dissatisfaction with authority and the status quo, his struggles with depression, his gift for satire, and his sharp insights on the policies and people he encountered. Kennan turned these sharp analytical gifts upon himself, even to the point of regularly recording dreams. The result is a remarkably revealing view of how this greatest of Cold War strategists came to doubt his strategy and always doubted himself. This is a landmark work of history and biography that reveals the vast influence and rich inner landscape of a life that both mirrored and shaped the century it spanned.